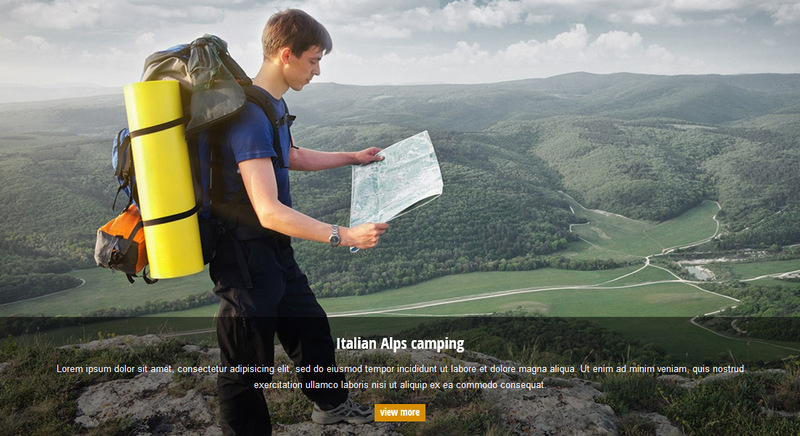 Expedition theme and custom built Tour Slider allows you to create exceptional presentation of your guiding services. This unique slider cannot be found in any other theme. But that’s not all, overall you have 4 header options - Tour Slider, Easy Slider, Revolution Slider or no slider. Tour presentation is the most important part of every guide’s website. That’s why we have invented a unique way how to effectively showcase your tours. 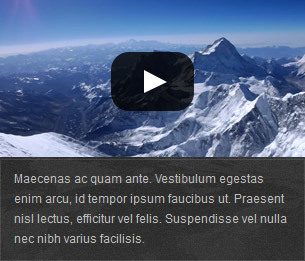 Tour Slider element will help you present your tours right on your homepage. These slides are created automatically from your tours entered via WordPress admin. Take a look at the map, there are points on your route highlighting important places. 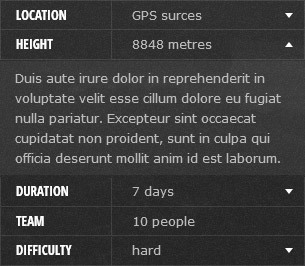 This unique slider is built into our Expedition theme for free. Tour Slider can be set up right in the Page Builder on given page. You can show it on your homepage or any internal page. Slider is build of tours defined in Tour element. You don’t need to enter your data twice. How to create a professional presentation with various information blocks? Unique Tour element makes your life easier. It shows information that will appreciate every tourist. Big map with tour route, difficulty, recommended gear list or photo gallery. Nothing is missing. Map with the route is essential part of every tour planning process. 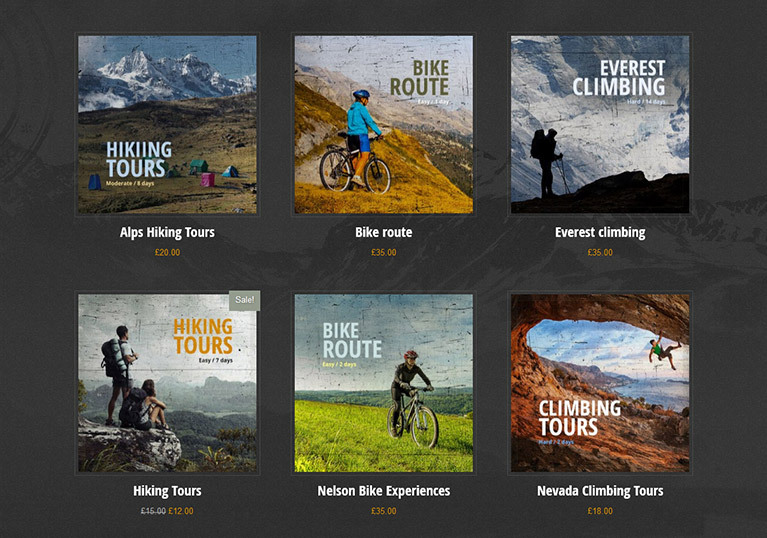 It can be used for hiking tours, biking tours, ski touring expeditions but also city tours. Therefore the main part of the tour detail page is Google map with checkpoints. You can show large map by default or display nice image with smaller map on top of that. Map and image can be enlarged with a simple click of the mouse to check whole route in more details. How easy is it to create a map with all important points? It cannot be simpler. 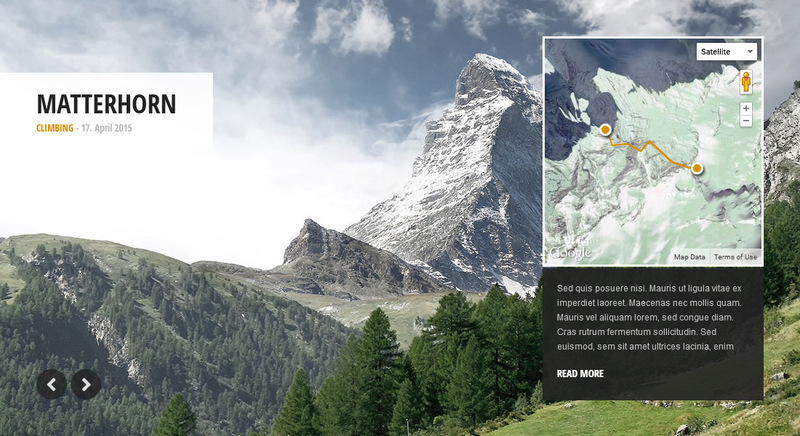 Tour Options allows you to pick points on the map, assign title, description and custom icon. Points on the map can be easily moved to the right position. You don’t need to manually enter GPS coordinates. You can also reorder your checkpoints using drag&drop. Tour date can be also shown in the header under Tour image. 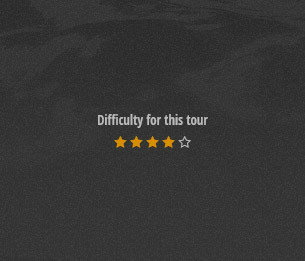 All tour details have it’s place on the right hand side. Tour difficulty, location, tour duration or any other information. 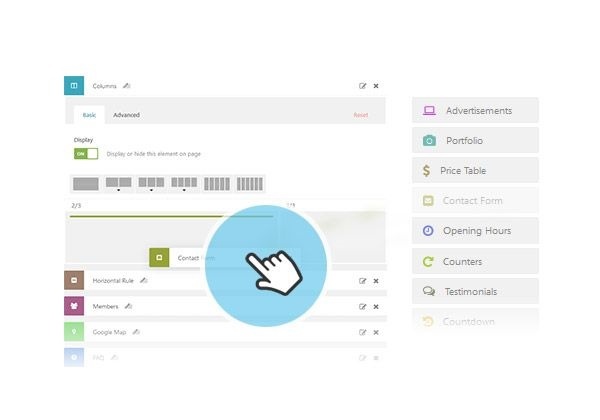 You can add simply anything you need using our easy to use clonable element. Write your title, description and values. Great presentation cannot be complete without video or photo gallery. You can link Vimeo or Youtube videos and add a description. 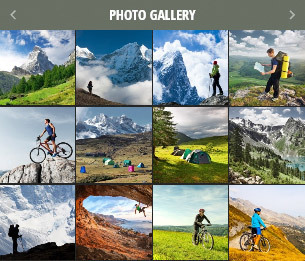 Photos can be selected from WordPress media library. What’s the best part of it? You can manage everything without messy shortcodes or code modifications. Anyone can do it! You can access tours from WordPress admin menu on the left hand side. Tour element is our new custom post type where you can predefine your tours. You’ll enter your data into one place and show anywhere on your website without entering your information again. That’s also very handy when you’re making changes to your website as you’re doing them only in one place. Tour detail layout is fixed. 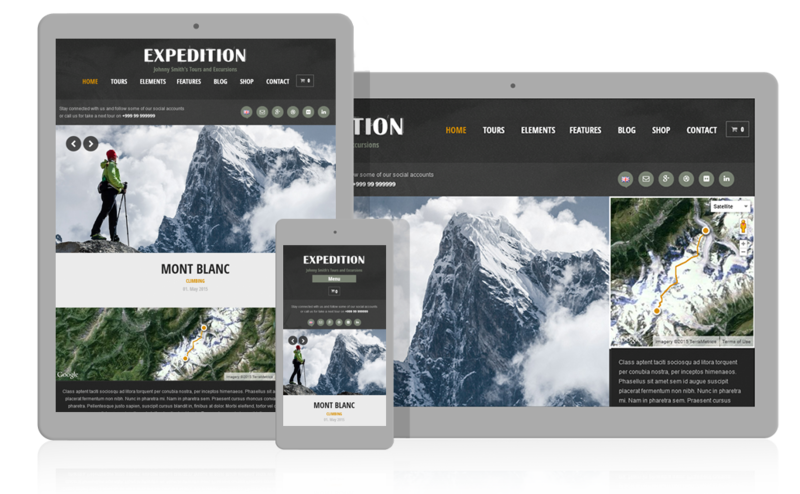 Position of tour image, content, galleries and additional information is defined right in the template, however you can extend this page in Page Builder and add there selected elements. For instance you can add partners logos or contact form. It’s ideal to have this page without sidebars, but you can turn them on if you need to. 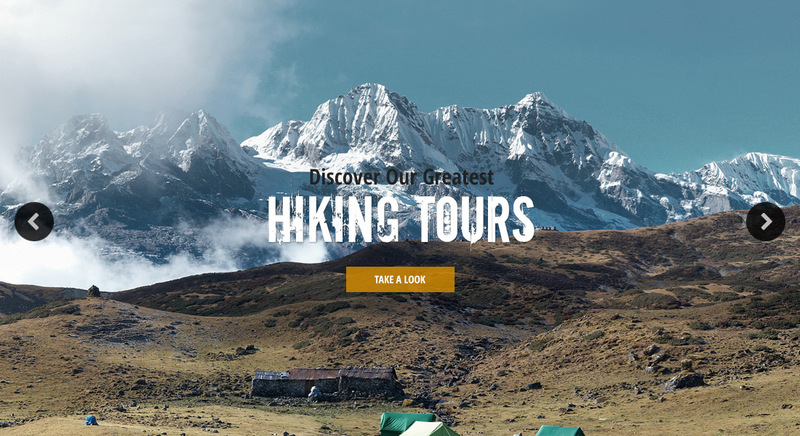 How to create all or category tours page? 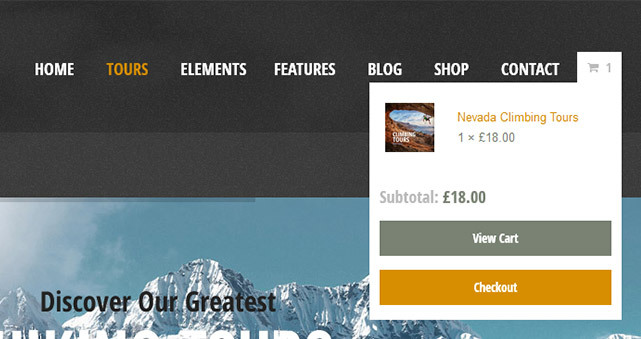 This can be done with Tour element in Page Builder. If you have already entered your tours, you can show them on any page on your website. You can show all tours or selected category only. You can also order them by various criteria, select number of columns, number of text rows, turn on carousel and lot of advanced settings. You can also show or hide the map, turn off additional information or have a read more button.